Thread: Any affordable Linux web hosting? Do you know any good web hosting providers that offering secure and affordable linux web hosting packages? My requirements are 100GBs of bandwidth and 50GBs of disk space. I have found out digitalocean and some other providers but I don't really know if I could trust them because I have not ever used them. Do you know them? any recommendations for linux web hosting services? 1&1 has some good Linux Hosting plans at very reasonable rates. The have a Pro plan for 8.99 a month. I used to use them quite a while ago for some of my customers but I moved to building my own server farms and most of my customers are large enough to have their own servers and fiber connections. It makes it nice for configurations of my servers, since they are all self controlled. When I was using them they were pretty good especially some of their business plans. Go Daddy also offers Linux system and again they have some very reasonable rates depending upon what you are looking for. Keep in mind that most good hosting companies offer Linux or Unix servers. They are much more stable, less likely to be attached, and have very few OS issues. That is why most organizations stick with Unix/Linux installations using an Apache server. Very established and very stable. 1&1 is an EIG company. EIG is a company you want to avoid. DigitalOcean is a VPS provider - if you're comfortable managing everything yourself then they are a good host. If not - then look for a managed provider. Alternatively, you could always go for shared hosting. I agree EIG is a horrible company and becareful they own MANY of the big name hosting companies. I recently moved from SmallOrange to Siteground because EIG bought them and everything went to SH*T.
They recently lowered the prices. What I love about them the most is the customer support. I have never waited more then 60 seconds to connect with someone. 1&1 is not owned by EIG but by United Internet. However, they are about as bad as an EIG owned hosting company and I would avoid 1&1 unless you have a desperate desire to have a potential nightmare experience. 1&1 is horrible for over billing, billing even after you leave or cancel your service with them and they have a wealth of other bad nightmare issues that many customers have had to deal with. Do a Google search for 1&1 and scam, nightmare, stole, any other bad word and you'll see what I mean. GoDaddy is another I would stay away from as they give much lower resources than most hosts in the same price range and you'll constantly be getting warnings about exceeding your resources and you need to buy more. They are ok for a small site with little traffic that has a lightweight site on it but there are much better options out there for hosting. You can check out our hosting section of the forum and there are several great choices there. If you don't see anything that fits you need then you can also try Namecheap hosting. I've used them as one of my hosts for a few years and they are great. Their support has always been awesome to work with and I use their support for all kinds of needs and they have always been super. Other than that, there are several good hosts out there, you just need to do some research before committing to a host you don't know. I would also HIGHLY recommend not using an EIG owned hosting company. They are the worst that I have ever used and they tried on 2 different occasions to extort me out of more money and kept me from accessing my sites for a few days at a time. They also have the worst tech support i've ever dealt with. Godaddy is designed for small business owners who don't know/care about server quality and just want to host their coffeeshops website. Nothing past that. Maybe you will find your required specification with in your budget. 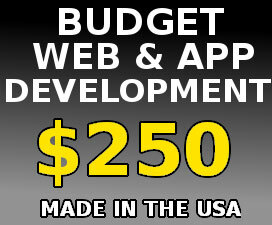 Can you specify the budget and also the location you are looking at? Providing a little more info on what you are looking for will help us to provide a better suggestion. yeah I am checking this, also vultr, I don't know which one is better. Will have a look, thanks! Does the VPS needs to be managed? Sorry, But I am not agree with it. 1&1 and Godaddy are good if you only want to register domains with them. Their Hosting platform is very poor. I had some bad experiences with both of them. My sites get frequent downtime and they did not have any clue what is happening. It really ruined my online businesses. Later I had move to another hosting provider. Here cost is a matters, i suggest you to check other alternatives providers also, just check with other providers hardware setup and prices, and select better plans based on your requirement. and more. hope these points will help you to select the Better host for your needs. There are numerous providers out there that can help you in most cases, but when it comes to affordability it boils down to whether your service is mission critical or profit generating. If so, I would look away from lower priced service providers. Agreed. I read all too frequently threads where the OP complains about losing thousands of dollars because of their providers downtime, only to find out they're hosting on a budget shared hosting plan for less than $10 per month. If your data is mission critical and profit producing, by all means host with a decent stable provider with a known history of good uptime and great customer support. From my point of view, the web hosting plans by BGOcloud are great in terms of price, quality, and features. There's a month-to-month payment option, so you can try them and see if they completely match your needs. SSD storage, CDN, SSL certificates and a lot more other features are included in their plans. By seeing your requirement you have very huge traffic for your website. First of all You need to focus on the points of the Highly secure for your data because you have large requirement. i request you to try offshore dedicated for your source. What would be your monthly budget? 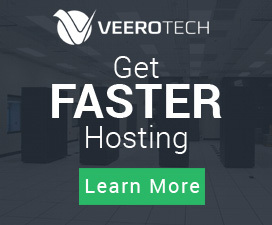 What kind of website will you be hosting? How to remove duplicate emails from a list? How to buy domain without violating trademark? Targeting keywords main words then slow diminishing strength.... ? If I mention a competitor website does it actually help them as a citation? What are some of the branding ideas for a software development company? Best Free Control Panels to Manage Linux Servers? What is the difference between linux VPS and windows VPS hosting?